Enjoy a luxurious stay for a fraction of the cost. Typical savings range from 30-70% when comparing our rates to direct resort bookings. All of our units are managed and maintained by the resort. Upon arrival, guests will check-in at the resort’s front desk using their resort confirmation # just as if they had booked directly through the resort. Full access to the resort’s services and amenities are included with every reservation. World-class skiing, year-round cultural events and robust seasonal activities characterize Park City, home of Marriott's MountainSide, providing you the ultimate in Park City ski lodging. The MountainSide offers multiple outdoor hot tubs, a sauna, pool, fitness center, convenience store, kids room, along with daily family activities. There are also many dining options within a couple minutes walk from the front door. Along with being one of the most convenient locations for skiing that Park City has to offer, the MountainSide is a short walk to historic Main Street, assorted shopping and dining, and the free Park City shuttle, offering bus service to the whole Park City area. Listing was accurate and better than expected. Very spacious room. Has a large shower and separate tub. King bed was comfortable. Washer and dryer in unit, fairly modern kitchen with everything needed to cook meals every day. Owner requested a top floor unit which was nice for a view of the slopes (looks down directly at the payday express lift. Getting to slopes is pretty simple, take elevator down, walk out the back door and through the pool area (~50 steps) over to payday express or crescent lift. Close to beginner lifts as well. Ski in has a close path to walk back and take the elevator up. Probably the best ski-in ski-out in the main area of park city unless you go for an exorbitantly large house. Main purpose was to ski, so didn't do a lot of exploring of the main area and town, but it was pretty close to a main bus stop (free public transit). The Marriot Mountainside is the best ski in ski out option lodging in the immediate Park City Mountain Area. The hotel has recently been renovated and the rooms are modern and clean. The hotel is especially kid and family friendly and has an extensive list of activities on site for all ages of children and families. The resort has a small convenience store, pool tables, a recreation room, and outdoor heated pools and Jacuzzis. 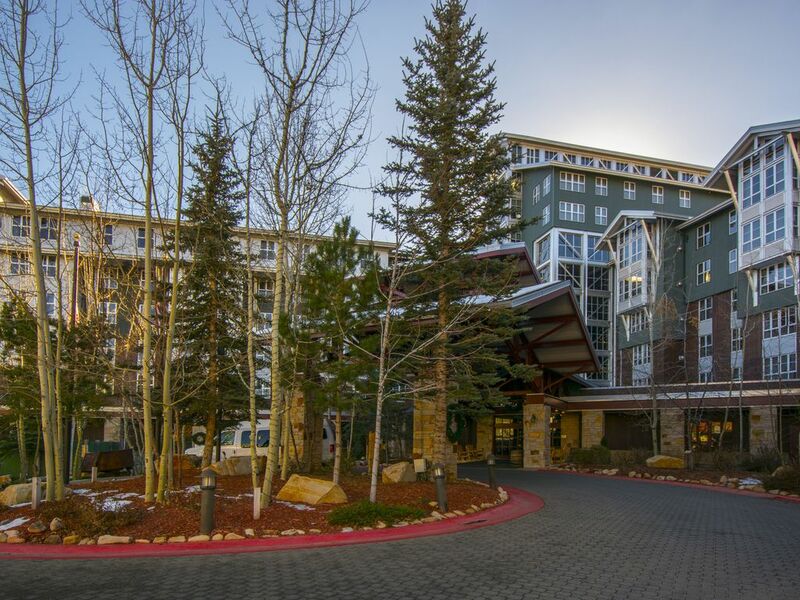 The hotel is located at the base of Payday and Bonanza Ski Lifts and sits on the end of the plaza square along with restaurants, bars, and ski rental equipment. The hotel is short walking distance to the shuttle and bus stops which then allow easy access to all of main street. The resort offers lodging from single rooms to 2 bedroom fully equipped condos. The staff are exceptionally friendly and the hotel offers free underground on site parking. Would recommend this to anyone who wants to ski Park City mountain and have an effortless and enjoyable stay. Spotless hotel. Friendly helpful staff. And best location... Few feet from lift and few minutes free shuttle bus into town. Love it!! !